The Royals season has come to an end, but the memories we hold of this team will never fade. The 2015 World Series Champions created lasting impressions on all of us and we will forever remember the World Series in 2015. In may be just a few short years after, but let’s relive those memories game by game with the Kansas City Royals vs the New York Mets. Gives us chills to dive back into the these past events that lead up to the Royals being the champions of the MLB. In the first game of the 2015 World Series, the two teams came out to prove something. It took 14 innings but the Royals pulled through to prove themselves right off the bat. It wasn’t easy though. The Royals had a great start with an inside-the-park home run from Alcides Escobar. He was the first player to do that in a World Series since 1929. However, the Mets had three runs within six innings and the Royals we down 1-3. Hosmer and Moustakas helped to tie the game in the bottom of the sixth to 3-3 but the Mets would score again in the top of the eighth going ahead 4-3. In the bottom of the ninth, the Royals had one last chance to prove themselves. Alex Gordon stepped up to the plate and hammered the ball to deep center and had a home run for the Royals tying the score. Another five innings would go by without a run from either team. In the bottom of the fourteenth, Escobar had reached third and Zobrist was on second. Bartolo Colon pitched for the Mets and Hosmer walked to the plate. As Colon pitched, Hosmer knocked the ball far right and Escobar headed home to end the game. The Royals won the first World Series Game 5-4. 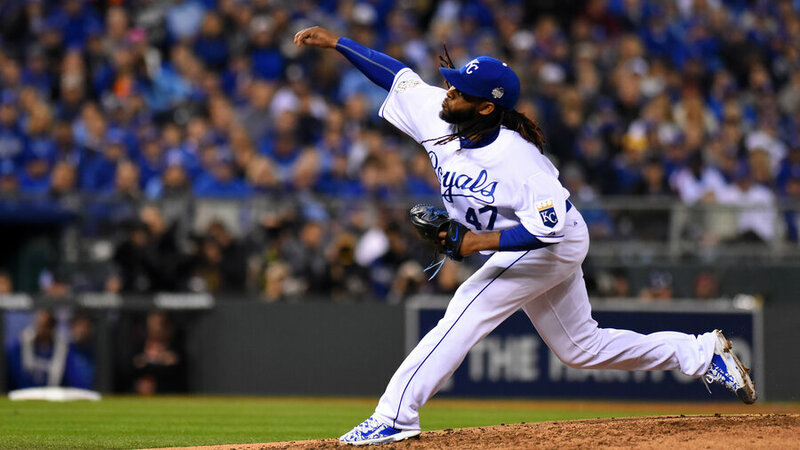 As the second game began in Kauffman Stadium, Royals Johnny Cueto, pitched a complete game, meaning no relief pitcher. Cueto allowed only two hits the entire game which the Mets could only convert to one run. The Royals capitalized on their defensive effort and in the fifth inning, they made a run on the offensive end to score four runs. In the eighth inning, the Royals upped their game and with a lead off single, followed by a RBI double and an RBI triple, the Royals were ahead 7-1 going into the top of the ninth. Unfortunately for the Mets, they couldn’t overcome Cueto’s pitches and laid another goose egg to end the game 7-1 Royals. The Mets finally have home field advantage in game three at Citi Field in Queens, New York. Yordano Ventura was pitching for the Royals and Noah Sydergaard pitched for the Mets. The New York fans rallied and helped pull their beloved team through as the Mets outscored the Royals 9-3 for the game. One key notable item for his game for the Royals, was that Raul Mondesi made his MLB debut, pinch hitting for Danny Duffy. Mondesi was the first ever player to debut in World Series. Another game in Citi Field but this time the Royals are ready for the home field advantage against them. The Mets also felt confident and caused the Royals to fall short a few innings. By the fifth inning, the score was 2-0 Mets. However, the Royals wouldn’t let the score get them down and made a fight to get on top. Second baseman, Ben Zobrist hit his eighth double of the series. Following Zobrist, Lorenzo Cain had an RBI with Zobrist running home, cutting the deficit to 2-3. In the eighth inning, the Mets had an error and caused the Royals to tie the game 3-3. Moustakas up to bat against Met’s pitcher, Familia, made a clutch play with a single which lead to an RBI taking the lead. Salvy then had an RBI and gave the Royals 5-3 lead, to which the Mets couldn’t recover. The series was no 3-1. Just one more game and the Royals would be crowned World Series Champions. After sad news of Voloquez’s father’s death before game one, Voloquez went home to the Dominican Republic for the week. Right before game five, the Royals’ starting pitcher made it back. 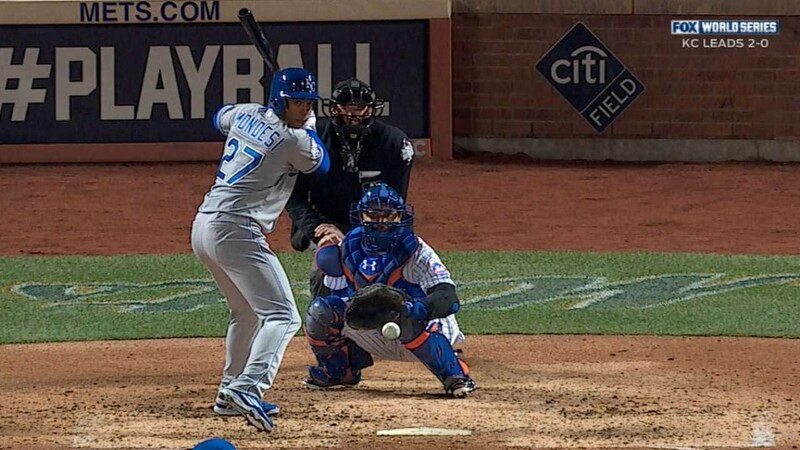 With the Mets up 2-0 in the 9th, the Royals only had one chance to make a last effort go at a World Series Championship otherwise resulting in a loss and a 3-2 series. Cain was sent home by Hosmer’s double hit making the score 1-2. Hosmer advanced to third, from a ground-out sacrifice from Mous and then Perez hit a ground ball straight to the third baseman who thought Hosmer would stay put. The moment the ball was thrown to force out Salvy, Hosmer darted home and the first baseman rushed to send them ball to the catcher but overshot and Hosmer scored tying the game. The game continued into 12 innings. In the top of the 12th, the Royals scored 5 more times. Wade Davis pitched a shutout inning and the Royals had won the world series. With an astounding 4-1 win over the New York Mets, the Kansas City Royals broke their years of dry spells and became World Series Champions. Salvador Perez was named MVP of the series. Many of these Royals greats, Salvy, Hos, Mooooose, Can, Escobar, Gordonn and more made this championship a reality and we will forever thank them. No matter where players go, they will forever be 2015 World Series Champions. They will forever be part of the Royals fam. Thank you Kansas City Royals for years of great baseball and the memories of a championship our city will cherish forever. Even in the coming seasons, we will look back on this team and think about them as World Series Champions.